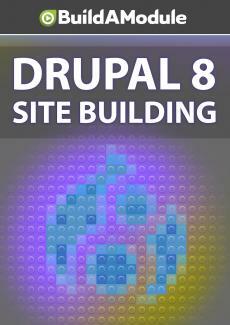 Solutions for chapter 5 of "Drupal 8 Site Building"
The solutions to the quiz and challenges of chapter 5. Good luck! And here are the answers for Chapter 5. A user is a node, true or false? The answer is false. Both users and nodes are entities, but users and nodes are separate kinds of entities. Question two, what module will allow you to add user types in Drupal 8? The answer is B, profile, as of this recording, it's not really ready to use, at least not in the way that we're using it. But in the near future, it probably will be. So keep an eye on it, if you have a use case for user roles. Question three, how can you assign a permission to a user, check all that apply. The answer? C and D. So C is, create a role, assign a permission to that role and assign a user to that role. The important part here is that you assign permission to roles, not to users directly. So we can do that by creating a new role or by assigning a permission to a role that already exists. Any user that can log in, any user once they've logged in, are considered authenticated users so you can also add a permission to that role. Question four, when you add a field to the user entity, which users does it affect? And the answer is A, all authenticated users. And that's why we had to think about some other solutions besides just adding fields to users. Because if you have different kinds of users, you don't necessarily want to extend all of them with the same fields. And finally, question five, what steps do you need to take to allow a user to edit just their own content, check all that apply. So the answers are B and C. We need to give a user permission to edit their own content, and then we need to assign the user the authorship of the content they should edit. If we give them the administrator role, they'll be able to edit all content, not just their own. All right, now let's walk through the challenges. So, the first challenge was create a view listing all of our users in alphabetical order. So let's go back to our site and create a new view. We'll call this delete me and we'll show users and when we're sorting it doesn't give us the option to go alphabetical, so we'll leave that. We're not going to create a page or a block, this is just a test, so let's click save and edit.